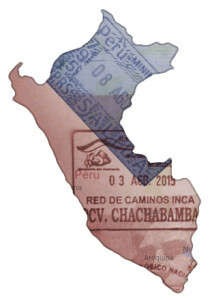 Months before we embarked on our travel trailer adventure I booked a trip to Peru. I try to take one solo trip per year, usually to somewhere on my bucket list. Machu Picchu was calling my name! That made for a conundrum. Where will I be in August and what city should I fly out of? I knew we’d be headed south on our RV adventure, so I looked at ticket prices at every major airport from Virginia to Florida. Not surprisingly, the cheapest flights were out of Miami. I booked through Miami which meant we had 70 days to get from Northern Virginia to the bottom of Florida. Well, we made it and I left Florida for Peru on Aug 1, 2015. Are you a traveler or camper? Or maybe both?